Search results for "Mandatory Inclusionary Housing"
In the Bloomberg years, developers were often presented with a choice: they could build a denser building if they agreed to make a certain portion of it affordable. The city program, known as voluntary inclusionary zoning, has received lots of media attention, but its actual impact on creating affordable housing was fairly limited because many developers decided not to take the deal. 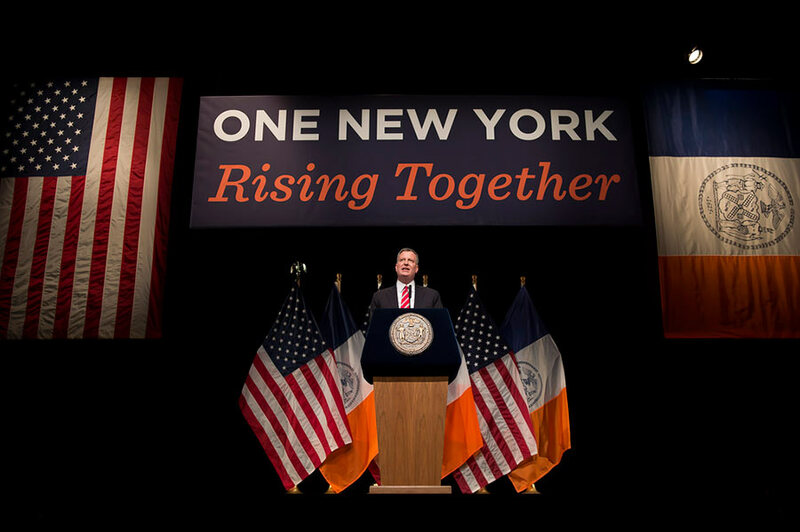 Now, with Mayor de Blasio at the city’s helm, that option is off the table. 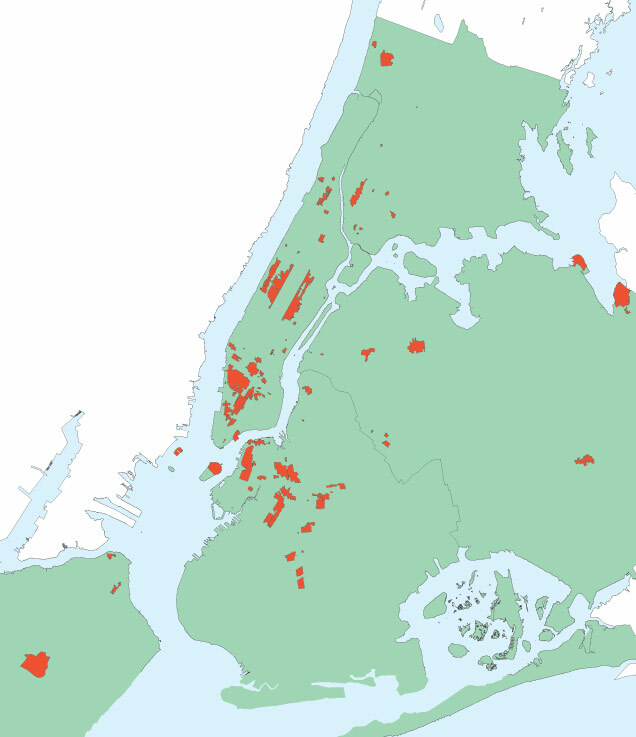 In New York City, voluntary inclusionary zoning has become mandatory inclusionary zoning. What exactly that percentage will be for developers, though, has not yet been decided. 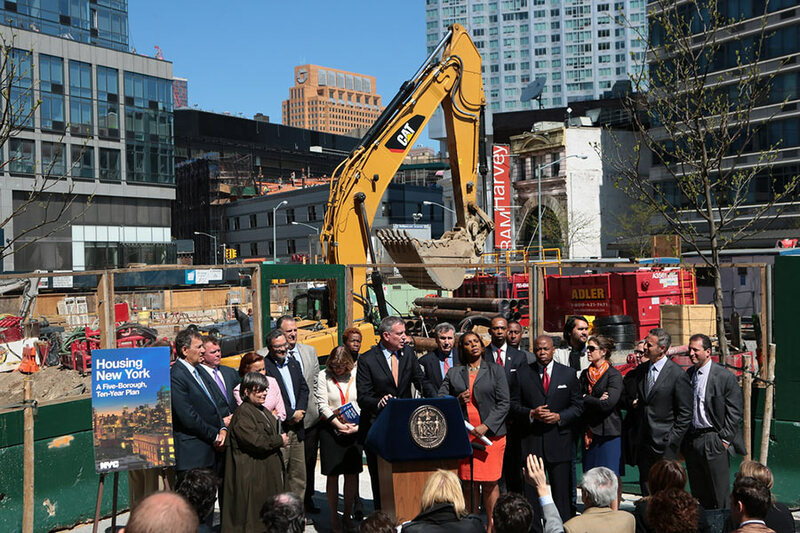 But Weisbrod said the city would not simply mandate the across-the-board 80 percent market-rate/20 percent affordable ratio that was seen under Mayor Bloomberg. 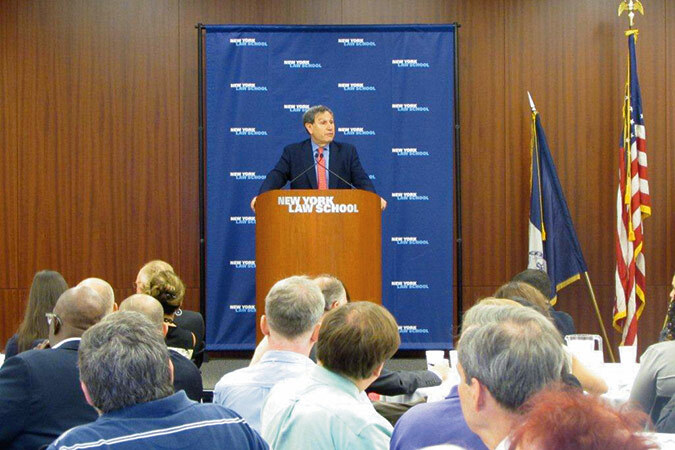 “What we think we can require in a super hot neighborhood in Manhattan is going to be a lot different from what we think we can require, or should require, in an emerging area,” said Weisbrod. He added that any changes to inclusionary zoning would have to be decided carefully at the risk of supposedly scaring off developers. “With mandatory, if we get it wrong, we won’t get any housing because if it's too oppressive a developer won’t build anything,” he said. The commissioner said the city is currently studying the issue and expects to have a proposal by the end of the year. The New York Times reported that the change could take effect as soon as next fall. While a lot could change before then, Weisbrod emphasized the administration’s new direction on affordable housing: “It is the beginning of a new era,” he said. The Association for Neighborhood and Housing Development (ANHD), a coalition of housing advocates, together with several prominent New York City elected officials, is calling for a major revision to city zoning laws to make affordable housing a requirement in all middle- and large-sized New York City developments. 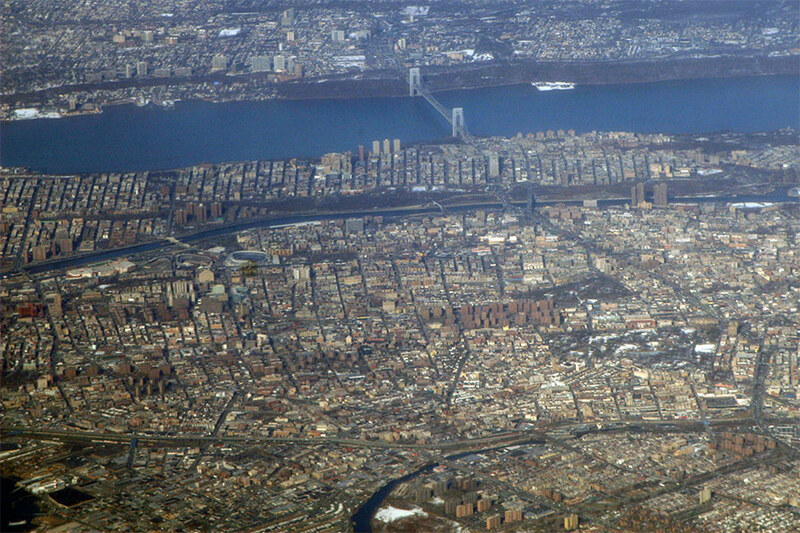 If implemented, the group’s proposals, which are outlined in a recent paper, Mandatory Inclusionary Zoning: Ensuring Affordability is a Part of New York City’s Future, could make New York’s neighborhoods more economically and socially diverse and have a major impact on the size of new buildings. At issue is inclusionary zoning, a market-based program that is used in various forms in cities throughout the country to stimulate the production of affordable housing. 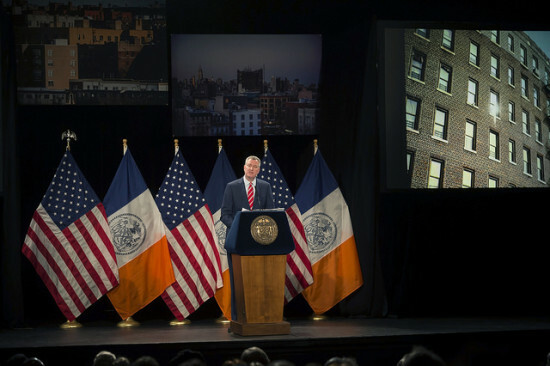 Under the administration of New York City’s previous mayor, Michael Bloomberg, the city’s current inclusionary zoning policy was introduced as a voluntary program that allowed participating developers in certain designated neighborhoods to construct buildings 33 percent larger than would otherwise be permitted under standard city zoning laws. In exchange, the developers were required to either make 20 percent of their new building’s units affordable or to rehabilitate an equal of affordable units offsite within one-half mile of the development or within the same community district. 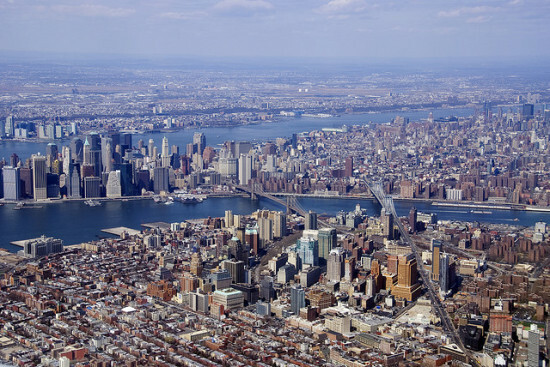 Voluntary inclusionary zoning definitely has had an impact on New York City’s skyline. 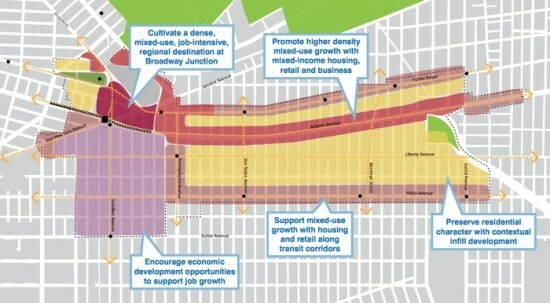 For example, some of the controversial bulky towers along the Greenpoint/Williamsburg waterfront were built with a density bonus in exchange for providing affordable housing, and one reason that many of the buildings at the massive Hudson Yards project on Manhattan’s West Side will be so big is that developers there are taking advantage of the program. According to ANHD, however, the housing policies implemented by the previous mayoral administration have fallen woefully short in addressing the needs of the city’s low- and moderate-income residents. “The current voluntary zoning program, where you say ‘pretty please’ to the real estate industry and give them a huge amount of buildable density, but ask very little in return, that doesn’t work for our neighborhoods, ” ANHD executive director Benjamin Dulchin said at a press conference on the steps of City Hall, which was attended by elected officials such as Manhattan Borough President Gale Brewer and City Council Members Brad Lander and Jumaane Williams. “We want mandatory inclusionary zoning that says when you build market rate housing of a certain density in New York City, you must build a modest rate of affordable housing as part of that development,” Dulchin told a cheering crowd of housing activists from around the city. 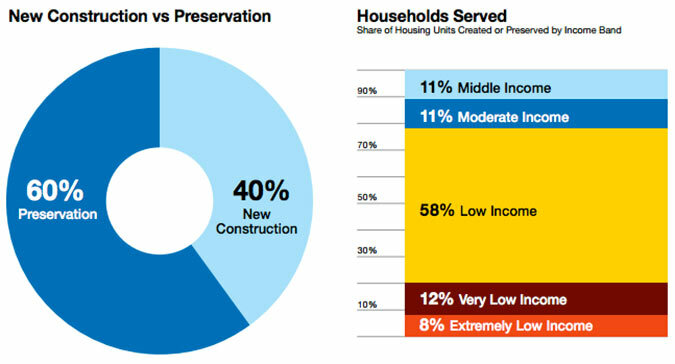 Although moderate and large-scale residential developments in New York City have created a $7.8 billion windfall for the real estate industry since 2002, according to ANHD, the city’s current voluntary inclusionary zoning policy, implemented in 2005, has only resulted in 2,800 units of affordable housing. 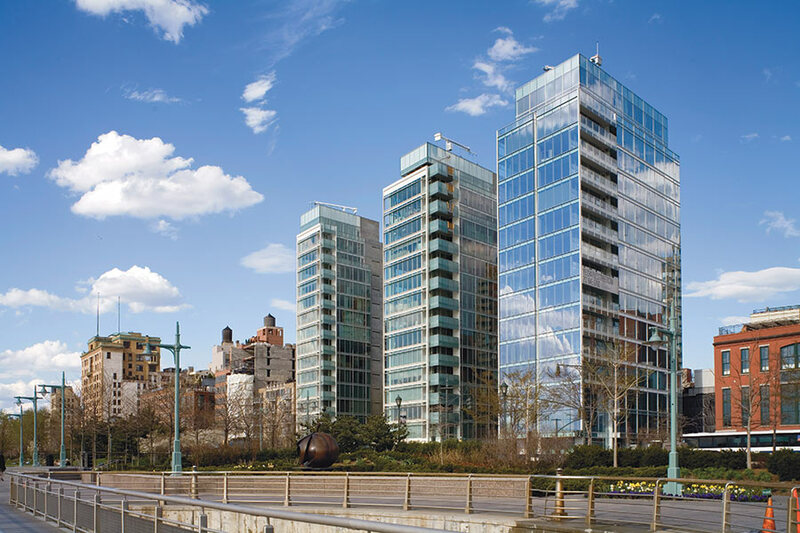 In fact, according to the organization, that represents just 1.7 percent of the more that 160,000 market rate units built during the Bloomberg administration. 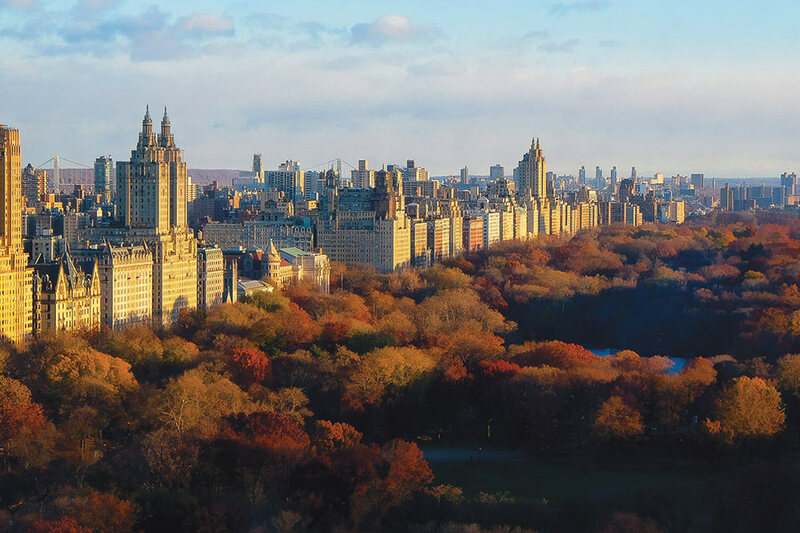 If inclusionary zoning was made mandatory in New York City, ANHD estimates that the new policy potentially could create 4,000 affordable units annually instead of the 400 per year that the current voluntary program is averaging. The Real Estate Board of New York, which was sent a copy of the ANHD paper, had no comment by press time.